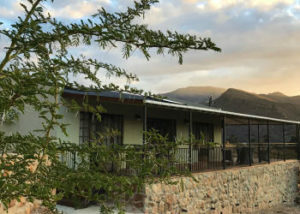 Asher Riverside Cottages is located less than 20 km from Bonnievale, and offer a relaxing farm break-away situated on the Breede River overlooking the Langeberg mountains. 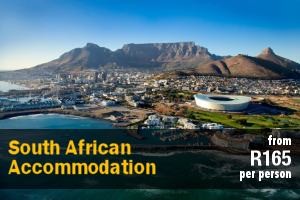 Accommodation is available in 4 self-catering cottages which are able to accommodate up to 8 guests each. The cottages each comprises 2 bedrooms, a loft, 2 bathrooms, and an open-plan kitchen and living area. 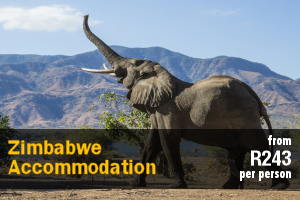 The main bedroom contains a queen-size bed and an en-suite bathroom fitted with a shower, a toilet and a washbasin. The second bedroom contains a queen-size bed. The open-plan loft contains 4 single beds. The second bathroom is fitted with a bath and a shower, a toilet and a washbasin. Linen and bath towels are provided. The kitchens are each fully equipped for self-catering and contain a stove, oven, fridge-freezer, microwave, and cutlery and crockery. 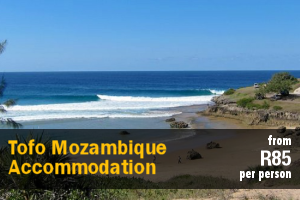 The dining area has seating space for 6 people, while the lounge has a comfy lounge suite, a small fireplace, and a TV with a DStv access point. Please bring your own decoder and the smart card, or you can order the premium selection from the establishment; prior arrangement is required. 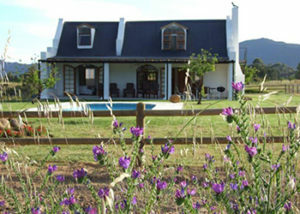 This beautiful self-catering cottage offers a tranquil retreat on a farm nestled in the foothills of the Silkbush mountains. 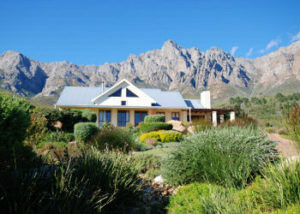 The unit is located near vineyards and has lovely views of the mountains and valley. 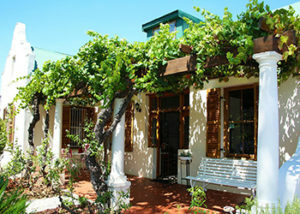 The tastefully furnished cottage can accommodate 6 adults with 2 children and comprises 2 air-conditioned bedrooms. The main bedroom contains a queen-size bed while the second bedroom has 2 three-quarter beds. A double sleeper couch is available in the study. There is a bathroom fitted with a shower and a second bathroom fitted with a bath. The fully equipped kitchen features a fridge, stove, oven, dishwasher, washing machine and tumble-dryer. 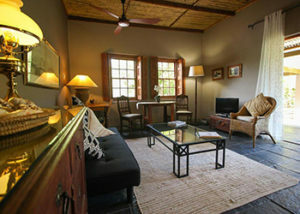 The open-plan living area is equipped to accommodate 12 guests and has a fireplace, TV, DStv and DVD. There is underfloor heating throughout the entire cottage. 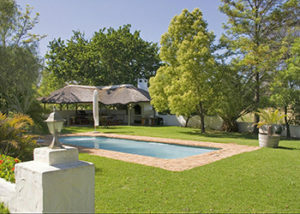 The house opens onto a spacious patio overlooking a leafy garden which has a Jacuzzi and braai facilities. 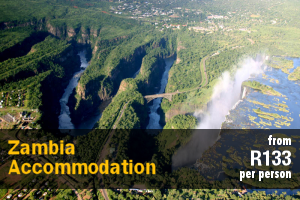 Guests can enjoy hiking, bass fishing and kayaking and mountain biking in the area. 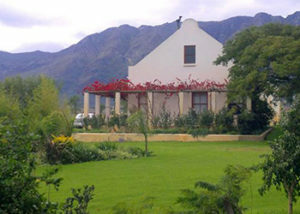 Noree Gastehuis offers comfortable self-catering accommodation on a picturesque farm located in Noree, a small area in the town of Robertson. 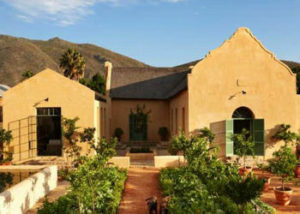 The town, situated along the renowned Cape Route 32, is surrounded by the Langeberg Mountains, beautiful valleys, endless vineyards, and a patchwork of farmlands. 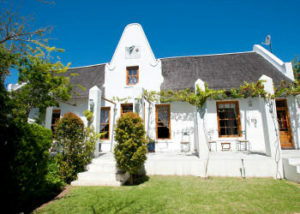 The charming farmhouse comprises 3 bedrooms and can accommodate 6 guests. 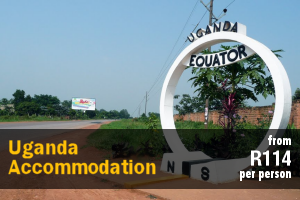 The first 2 bedrooms are furnished with a double bed while the third bedroom contains twin single beds. The bathroom is fitted with a bath and shower. The kitchen is fully equipped with a fridge, stove, oven, microwave and cooking utensils. The lounge features a TV with DStv, a braai area and comfortable seating. A braai area is available on the patio. 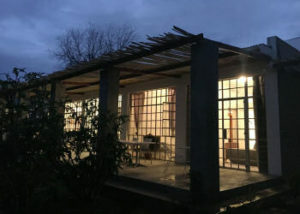 Guests can enjoy mountain biking, hiking to the nearby waterfall or birdwatching on the farm while attractions in the area include wine cellars and restaurants. 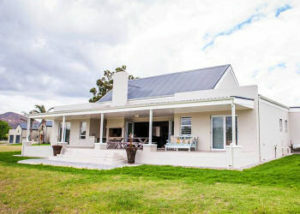 26 on Chardonnay offers upmarket, self-catering accommodation to golfers, families or friends looking for a pleasurable getaway in the countryside. 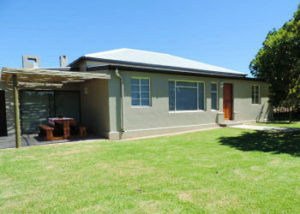 Situated on the Silwerstrand Golf Estate, this secure and tranquil home will recharge your soul. Make yourselves at home in this luxurious, open-plan house. 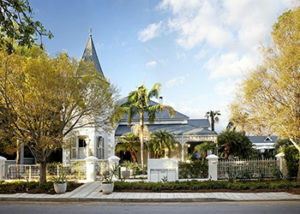 Offering 4 rooms, each with its own en-suite bathroom, the house can accommodate up to 8 guests. The one en-suite bathroom is fitted with a bath while the other 3 have a shower in each. To make it ideal for golfing or adventure-seeking friends, all rooms are furnished with single beds covered in quality linen. 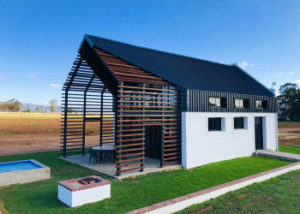 The house also features a fully equipped kitchen with an indoor braai and a dishwasher, a dining room with a fireplace and a lounge with a TV that has selected DStv channels. Outside, guests can enjoy the breathtaking views of the natural setting from the verandah. There is also 2 single garages providing secure parking. 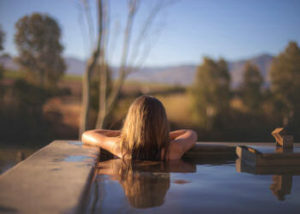 Whether you are enjoying the estate’s facilities for golfing, jogging or cycling or using our self-catering accommodation as an option to explore the greater Robertson valley with its many tourist attractions, wine cellars, top restaurants and festivals, we can guarantee it will always be a memorable stay. Children are most welcome, however, we regret that your four-legged friends will only share in the souvenirs that you bring home to them. 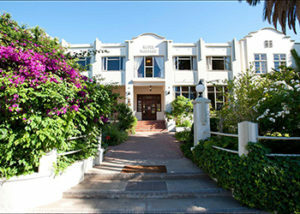 Welcome to Olive Hill Guest House. 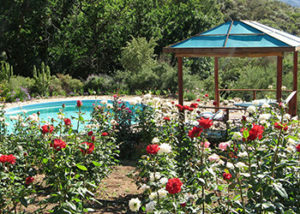 Come away to the beautiful Breede River Valley. From the guest house stoep, look down the valley over the olive groves to the Langeberg mountains beyond. 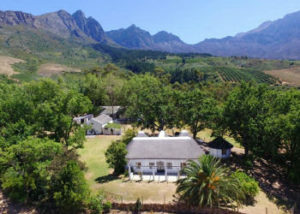 Olive Hill Guest House is a stone’s throw from Zoetigheyd organic olive farm, where after 20 years owners Peter and Sandi Unite are now farming in harmony with nature. With accommodation for up to 8 guests, at Olive Hill Guest House, you’ll enjoy the freedom of a self-catering ‘home away from home’ with all the modern comforts. As the only guests, you’ll love having the whole house to yourselves. Do things in your own time. 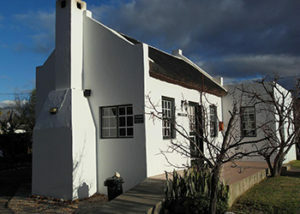 The house has 4 private en-suite bedrooms. The first, second and third bedrooms each contain a queen-size bed. The fourth bedroom contains twin single beds that can be converted to a queen-size bed. Gather around the dining table for good times. The fully equipped open plan kitchen is an invitation to prepare delicious meals from local produce. Take in the endless view from a comfy couch. Sit back and relax after a day of exploring; there’s so much to do and see. Share fireside stories at the beautiful stone boma. Sit on the stoep and stargaze. Remember why you love being outdoors under a clear night sky. 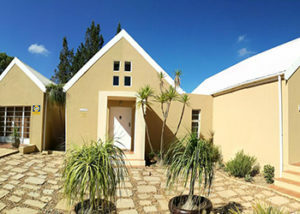 Lorraine Kothuis is a self-catering unit that is located 90 km from Cape Town on the working farm Lorraine Private Cellar just outside the beautiful town of Rawsonville. 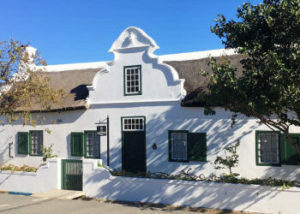 The cottage offers 2 bedrooms of which the main bedroom contains a king-size bed and the second bedroom has 2 single beds that can be converted into a king-size bed. The kitchen is well-equipped with a stove, a fridge, a microwave, and a dishwasher. 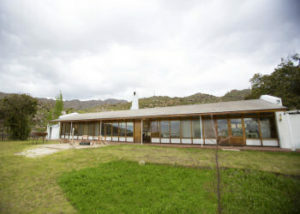 There is a living area with a fireplace and a TV that leads to a patio with beautiful views of the Breede River Valley. 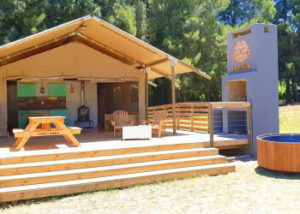 There is also outside braai facilities and wood is provided. 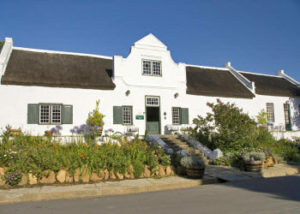 The area offers wine tasting at well-known wine farms and restaurants that offer something for everyone. The farm has a mountain bike route that leads through the beautiful scenery the farm has to offer. 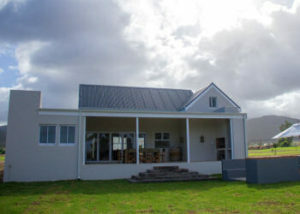 Albatross Country House and Golf Retreat is situated on the Silwerstrand Golf Estate in Robertson and offers stylish self-catering accommodation with views over the first fairway, just a drive and pitching wedge from the clubhouse. The house can accommodate 8 guests and is comprised of 4 en-suite bedrooms and an open-plan lounge, kitchen and dining area. Each bedroom contains 2 3-quarter beds which can be pushed together to make a king-size bed. The en-suite bathrooms in 2 of the bedrooms contain a bath and a shower and the other 2 en-suite bathrooms contain a shower. The open-plan kitchen is equipped with a fridge, microwave, oven and stove, kettle, toaster, and an 8-seater dining room table and chairs. Guests have access to an outdoor verandah and braai area with an 8-seater outdoor dining table and chairs. Servicing of the house can be arranged. 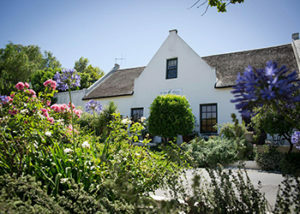 Albatross Country House and Golf Retreat is ideally located, approximately 500 m from the clubhouse on the Silwerstrand Golf Course. The golf course was designed by Danie Obermayer and never disappoints in providing an interesting round of golf. 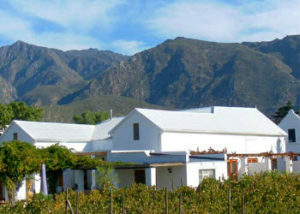 The Silwerstrand Golf and River Estate is located in the Robertson district, just outside the country town of Robertson. 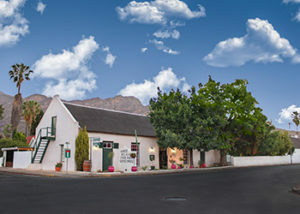 Robertson is situated along the renowned Cape Route 62 where guests can explore the Robertson Wine Valley, known as the ‘valley of wine and roses.’ Robertson is surrounded by the Langeberg Mountains, beautiful valleys, endless vineyards, and a patchwork of farmlands. 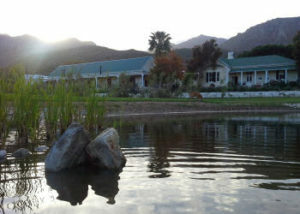 Aquila Safari Lodge is a 4 star establishment, situated between the Langeberg and the Outeniqua Mountains in the Klein Karoo. 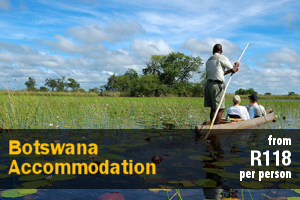 Setting the scene are spellbinding landscapes, carpets of wild flowers and wildlife. The reserve is a 10,000 hectare conservancy in the southern Karoo, and home to the big 5 legends of the wilderness – elephant, lion, buffalo, leopard and rhino. 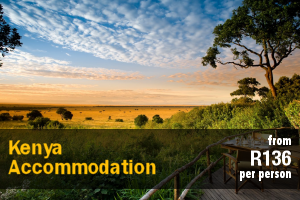 Aquila Safari Lodge accommodation options include premier, family or luxury. All options contain the ruggedness necessary to capture the essence of the bush environment, without compromising on luxury and comfort. 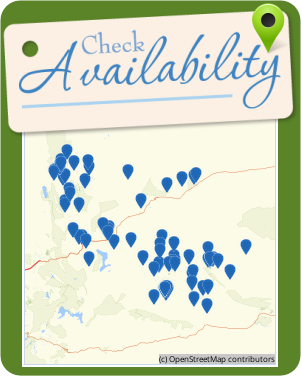 There are five premier chalets available. Premier chalets are privately situated and have been built into the hillside. 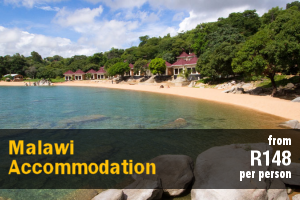 Each unit has been adorned with alfresco rock showers and indoor fire-places. Family chalets are semi-detached, feature exterior stone work and come with their very own back-to-nature outdoor shower. Luxury chalets are a hideaway haven. Snug, cosy and everything you would expect in an overnight, mid-week or weekend retreat. 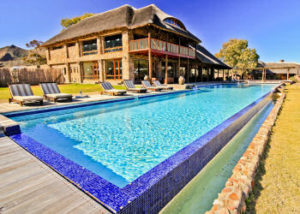 Aquila has two large swimming pools, each with a pool bar, overlooking the reserve. There is a large African-style dining area, and two smaller dining areas – all with blazing log fires and smoky cigar bars. A library, curio shop and children’s entertainment area is also available. 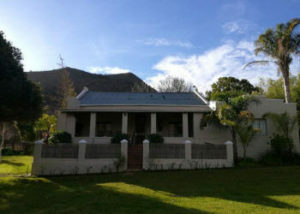 Orchard Cottage is a beautiful vintage self-catering cottage situated in an apricot orchard in the town of McGregor, in the beautiful Breede River Valley of the Western Cape. 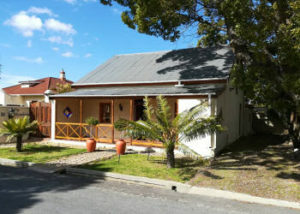 The cottage can accommodate up to four adult guests and has two bedrooms, two bathrooms, a living room, and a kitchen.